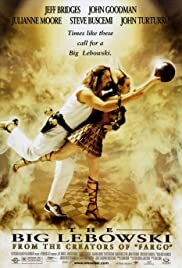 It's a travesty that most critics only read The Big Lebowski at its most superficial level and called it a modern take on a Raymond Chandler potboiler. I simply can't begin to perceive how one could sit down in front of this cinematic pop-poetry, as it plates gold on the silver screen, and not feel so incredibly alive. The dream sequence Busbee Berkley musical numbers are unique and awe-inspiring; the humor is rich, subtle, and clever in the way it satirizes politically correct arrogance; the free-flowing story avoids (even pokes fun at) nonessentials like plot points and pay-offs. 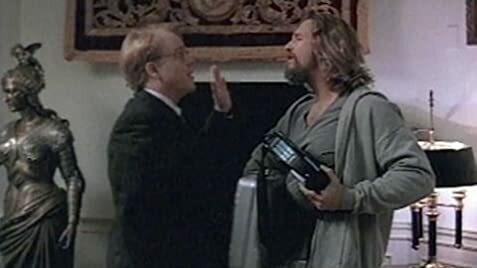 But what really makes this film such a masterpiece, such a panacea, is the incredible humanism, the care that the Coen brothers put in developing The Dude (Jeff Bridges), Walter (John Goodman), Donnie (Steve Buscemi-tremendously endearing), and Brandt (magnificently played by Phillip Seymour Hoffman). Looking at the films use of Sam Elliott to play The Stranger, who constantly rambles about the many wonders of The Dude (among other things), it is clear that the film is an ode to a Dudist way of life. And in a time where so many film promise that they have the answer to the worlds problems and end up as slick, stylistic show-off films, what more could one ask for than a good-hearted film like this? Not to mention the performance by Jeff Bridges, which ranks among the best performances of the nineties; he has a relaxed slouch, a goofy smile, an enthusiastic dance, and his buttons can only be pushed by Walter, who John Goodman plays with charm and fury. 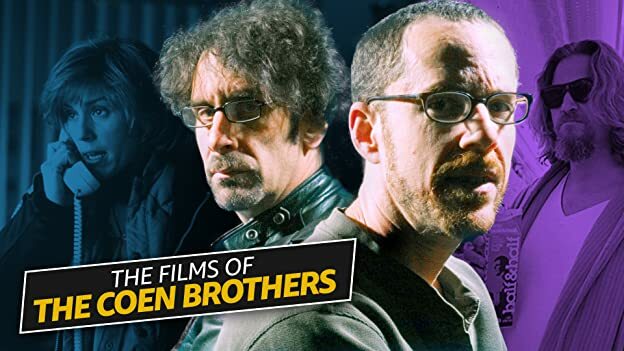 The Coen brothers have always been considered 'cold' filmmakers, but there is nothing here but warmth and humanity (as is the case with the Coens' Fargo). What we have here is one of the greatest achievements in modern cinema and if you can't see that, grab a White Russian, hit the bowling ally, and find your inner-Dude as soon as possible. 576 of 756 people found this review helpful. Was this review helpful to you?